I always enjoy choosing a new diary for the coming year. I like to pick one that will set the right mood for the year ahead and give me lots to look forward to as the seasons turn from winter to spring, to summer and back to autumn. I also like to pick a diary that is a bit pagan. 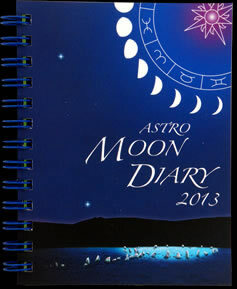 My current one is the Earth Pathways Diary and I'm certainly thinking about buying the new one for 2013. Although I haven't seen inside the 2013 edition, the front cover is gorgeous. 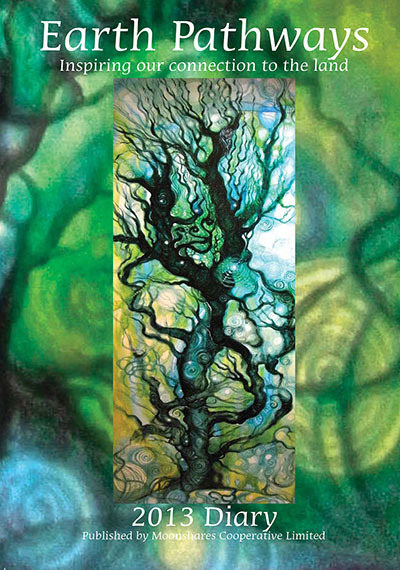 Although the Earth Pathways Diary isn't specifically pagan, it is aimed at anyone who loves the Earth including environmentalists, artists, writers and those following a nature-based spiritual path. As well as having plenty of space to write in - which, let's face it, is what a diary is really for - the Earth Pathways Diary is renowned for its beautiful artwork and inspiring text. Moonshares Co-operative, the company that produces the Earth Pathways Diary is a co-operative based in the UK and is formed of artists and creative people who love the land. In 2011, I had the Astro Diary and I was very pleased with it. 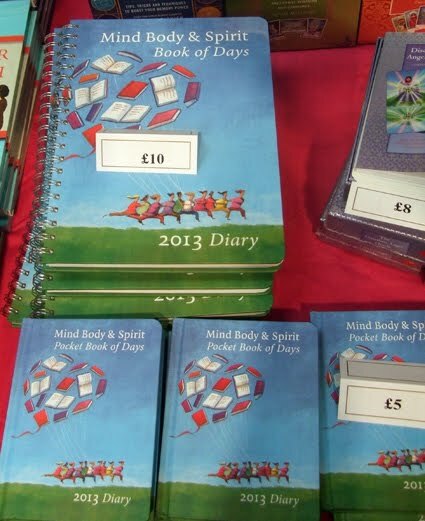 I had been tempted to buy that again in 2012 and only switched to the Earth Pathways Diary because I fancied a change. I certainly might return to it for 2013, although this year it is called the Astro Moon Diary 2013 As well as being a good size for entering appointments and the like, the Astro Moon Diary gives details of daily planetary movements and moon phases. It provides explanations of astrological terms and their meanings, a forecast for the year and features on things like pagan festivals. It is published by Astrocal. Another very popular diary with witches is Llewellyn's Witches' Datebook. 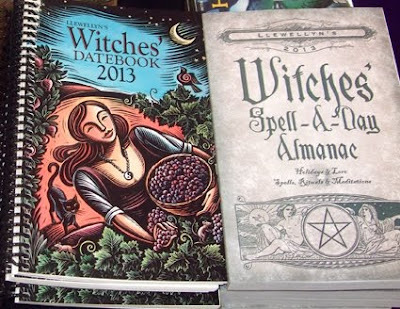 This includes dates for pagan festivals, information about what happened in history such as famous witch trials and the birthdays of pagan writers. Llewellyn also produces a 2013 Witches' Spell-A-Day Almanac, which isn't a diary, but does include a great spell suitable for every day of the year ahead as well as information about seasonal lore and pagan festivals. But I do like to ring the changes and a diary that I haven't had before is the Mind, Body, Spirit Book of Days 2013 . This is published by Watkins and comes in two sizes - one suitable for the desk, and another that is pocket or handbag sized. It is described as "holistic" rather than specifically pagan, and offers advice on how to get more out of life in the year ahead, including friendships, relationships, creativity, spirituality, health and well-being. I had a look through this diary when I visited the Mind Body Soul Experience and I really liked the inspirational text and artwork inside it. I probably need to decide quite soon which diary to buy myself for 2013. I'm already getting some exciting invitations for things to do in the coming year and if I don't write them down in a sensible place I'm likely to forget them.